Mon., Oct. 10, 2016, 4:16 p.m. 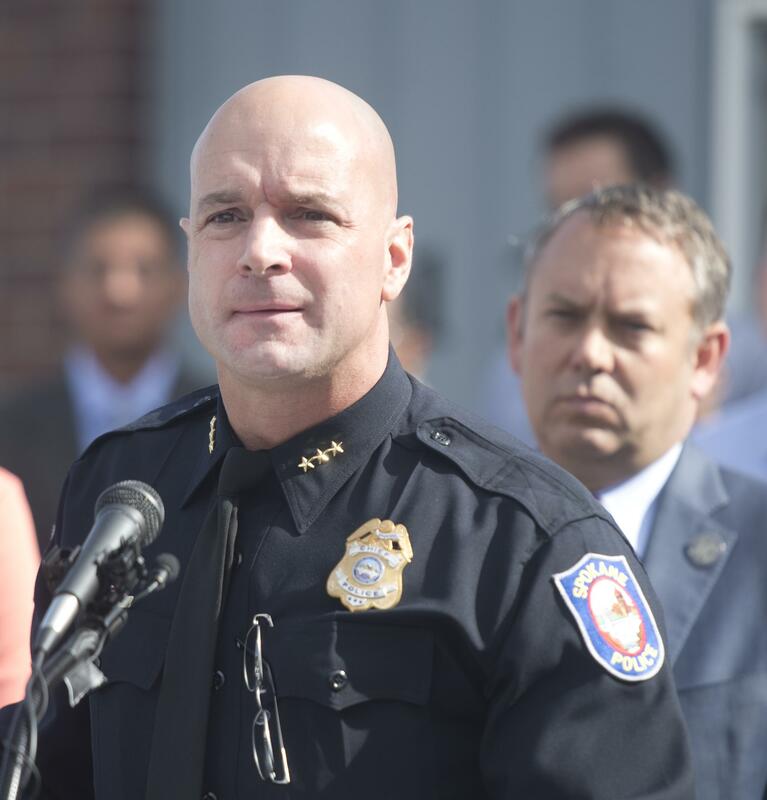 The city of Spokane spent just over $28,000 on its yearlong search for a new police chief, according to public records compiled by The Spokesman-Review. Most of that money was channeled through two consulting firms. About $4,890 was spent on lodging, travel and food for four police chief candidates, a consultant and a member of the city’s search committee. About $5,375 paid for ads, a brochure and other materials designed to draw attention to the search. The remainder, $17,816, was payment for services and consulting fees. Mayor David Condon bypassed all the candidates who participated in the first round of interviews in July, instead picking Assistant Chief Craig Meidl to lead the department. The City Council was ready to block Meidl’s nomination, so Condon agreed to redo the process. He chose Meidl again on Sept. 26, and the City Council was expected to confirm the pick during its evening meeting on Monday. Records current as of Sept. 26 show the city paid various expenses for four other candidates, including Yakima police Chief Dominic Rizzi; Elk Grove, California, police Chief Robert Lehner; Frisco, Texas, police Chief John Bruce; and Seattle police Capt. James Dermody. Although some expenses may not have been tallied, it appears the city did not pay the full amounts allowed under its consulting contracts. A contract with Strategic Government Services, an executive search firm, authorized the city to pay up to $25,000, but records show payments of only $16,877. That payment includes some advertising and lodging costs. The city also agreed to pay up to $6,100 to Deep Creek Consulting for contracts that ran from December 2015 to January 2016. It ultimately paid $5,532. Published: Oct. 10, 2016, 4:16 p.m.